An investment in Japan is not a good idea overall. This opinion can be based on where the economy of Japan actually is. Under performance is just the beginning of the problem. For a variety of reasons the Japanese are having trouble generating more than laggard economic growth. 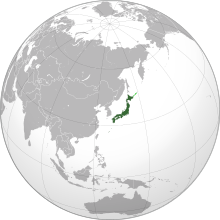 The total area of Japan encompasses 145,925 square miles (377,944 km2). It is 62nd in size compared to the rest of the world. The 2010 census counted a bit over 128 million inhabitants. The 2012 estimate was less than 127 million so the population is now definitely in decline. Of the total population 98.5% are ethnic Japanese. Japan’s people along with one of the longest life spans in the world also is one of the fastest aging populations in the world. The rapid aging of the population is going to lead to a shrinking workforce and all of the related problems that go with that. A major problem will be a shrinking domestic market. Productivity increases alone will not be able to solve the problem especially since the economy is not growing very much anymore. The Japanese are not favorable to any real immigration so there will be a shortage of labor in the future. Labor will become much more expensive as one of the costs of doing business. The number of workers in Japan is declining by -.06% yearly already and will accelerate to -08% through the 2020’s. Japan remains a major economic actor in the world. 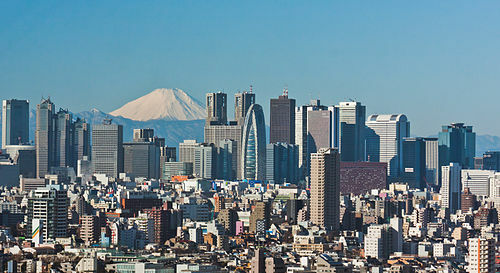 The economy of Japan now stands in excess of 5 trillion in Gross Domestic Product (GDP). The Japanese economy is the 3rd largest in nominal GDP and 4th largest in Purchasing Power Parity (PPP). The nominal GDP per capita now stands at $39,321 USD (28,272 in EUR). This puts Japan in 14th place in the world and in PPP the 23rd position per capita. 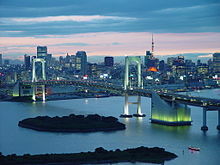 Japan remains the world’s second largest developed economy and is a member of the G-8. It remains the world’s largest creditor nation. Despite the slower economic growth in general Japan ran an annual trade surplus(until the last 3 years) and enjoys a considerable international investment surplus. Japan itself remains the top export market for 14 nations worldwide. The country is often ranked as one of the most innovative countries in the world which can be judged by the number of patents filed globally. In 2010 nearly 14% of the world’s private financial assets were in Japanese hands. This is the 2nd largest in the world and the estimated worth is close to $15 trillion USD. As of 2013 in the Fortune Global 500 companies 62 of them are based in Japan. Japan still has the largest electronic goods industry in the world. The country ranks number 3 in auto manufacturing. As a result of the increasing competition from China, South Korea and Taiwan manufacturing in Japan has shifted towards precision and high tech products. 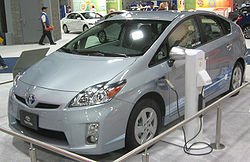 Japan has become a world leader in robotics, optical instruments, and hybrid vehicles. Japan went from decades of high growth after World War II to the “Lost Decade” of the 1990’s which occurred after the collapse of the Japanese asset bubble. 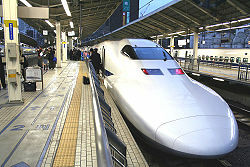 In a move to stimulate the economy the Japanese government then moved to finance large internal public works programs. These building plans were funded by running massive budget deficits. By the end of the decade the public works projects had still not moved Japan out of economic stagnation. The Japanese government then attempted to wring out the speculative excess from the real estate and stock markets through a policy referred to as structural reform. The result of these policies led to the “Big Deflation” of the years 1999 to 2004. The next initiative of the Japanese government to deal with the economy’s lack of growth was to begin the monetary policy known as quantitative easing. The Bank of Japan expanded the money supply to try generate higher inflation expectations. The policy failed to induce any immediate real economic growth. By the end of 2005 economic growth finally returned but unlike previous spurts it was moved by domestic consumption. The service sector now accounts for three quarters of the GDP of Japan. However, domestic consumption will be shrinking in future years because of the decline and aging of the population. Keeping interest rates near zero for an extended period of time still did not deal with the continuing problem of deflation. Although the zero rate of interest ended in 2006, by 2008 Japan still had the lowest interest rates in the developed world. 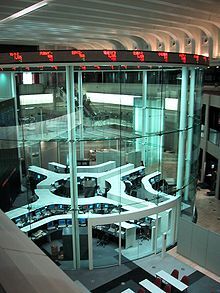 Between the summer of 2007 and the end of 2008 the Japanese stock market (the Nikkei) had fallen 50% in value due to domestic economic problems and the international financial panic. In April of 2013 the Japanese government announced that the Bank of Japan would be purchasing 60 to 70 trillion yen in bonds and securities to attempt once again to end deflation. The plan calls for a doubling of the Japanese money supply in 2 years. Since November 2012 the Nikkei has risen by 42% as governments and investors around the world have reacted positively to these new monetary measures. However, one must question what will happen when the government stimulus program ends? The United States stock market is in a similar situation. Japan’s unemployment rate remains relatively low at 4%. It must be noted that this low rate is partly due to the shrinking workforce. There also has been a movement to improve and reform Japanese laws concerning taxes, land transfer and bankruptcy. Changes in this area are deemed important to stimulate business growth further. Reforms are often hard to achieve in Japan due to the resistance to change and the need to build consensus as is dictated by society. Near 84% of Japan’s energy is imported from other countries. 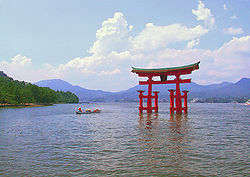 Japan is the third largest importer of oil in the world. They are the second largest importer for coal and the largest in the world for the importation of liquefied natural gas (LNG). The huge foreign dependence on energy is a drag on the Japanese economy in that it makes energy more expensive there than in many other industrial countries. It increases the pressure on Japanese firms in making a profit especially the ones that are more energy intensive. As of 2012 Japan’s major export markets were China (18.1%), the United States (17.8%), South Korea (7.7%), Thailand (5.5%), and Hong Kong (5.1%). Its main exports consist of electronics, chemicals, electrical machinery, motor vehicles, and transportation equipment. Japan’s main import markets as of 2012 were China (21.3%), the United States (8.8%), Australia (6.4%), Saudi Arabia (6.2%), UAE (5%), South Korea (4.6%) and Qatar (4.0%). The main imports for Japan consist of are fossil fuels, machinery and equipment, foodstuffs (particularly beef), chemicals, textiles, and raw materials for industry and manufacturing. By market share measures Japan has the least open domestic market for modern economies. However, Japan does rank 12th out of 178 countries in the 2008 Ease In Doing Business Index and has one of the smallest tax revenues of the developed world. The Japanese have a different version of capitalism in management style and employment. The role of the keiretsu enterprises (a combine of industries) cannot be underestimated. There are two main problems with investing in Japan at this time. One is the slow rate of economic growth the other is the size of the public debt. The economy grew by 1.9% in 2012 and only 0.7% in 2013. There was a downgrade from 1% that had been originally forecast for 2013. A scheduled sales tax increase in April of 2014 from 5% to 8% will slow growth further but is deemed necessary by the government to deal with Japan’s spiraling debt. Growth forecasts for the first half of 2014 have already been reduced. Smaller private consumption, less capital spending, and reduced exports are driving the economy to lower rates of economic growth. It calls into question whether the government’s present policies to stimulate the Japanese economy is working? Japan reported a record trade deficit in 2013 at 11.47 trillion yen. It widened from the previous year from 6.94 trillion yen in 2012. It was the third straight year of deficit and the longest since the record began in 1979. In January of 2014 alone exports grew by 9.5% but imports surged 25%. A trillion yen is equal to a bit more than 13 billion (USD) and 9+ billion (EUR). The second problem with Japan is the public debt which now stands at 237.9% above its annual GDP. The total amount is the second highest in the world after the United States. The percentage is the highest in the industrial world. As explained in an earlier article on public debt they are now in uncharted territory. They received their first downgrade as a risk for investment in August of 2011. More downgrades will most certainly be on the way with a return to government stimulus spending and the vast expansion of the money supply. The above factors should make a potential investor very cautious when considering a long term investment in Japan.